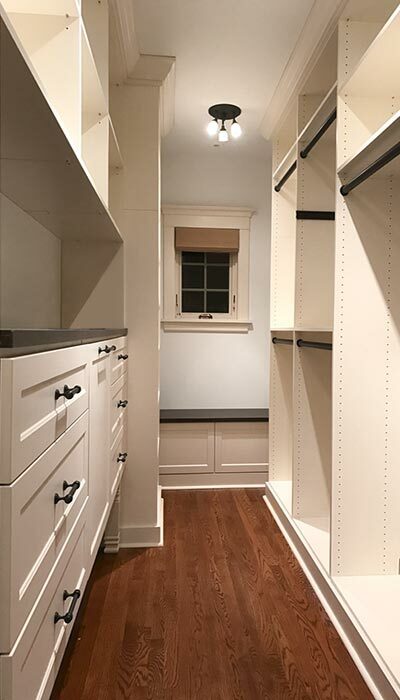 This long, narrow closet expertly blends historic charm with modern functionality. Everyone loves the ornate detail associated with vintage designs, but most people need more storage than an old building can provide. 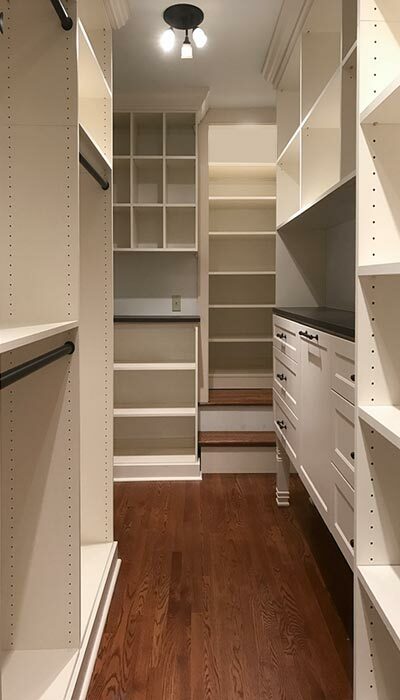 The key to successfully adding a new closet system to an older home is in the details. This organization system includes custom decorative legs that are not only beautiful, but practical in that they provide needed ventilation for the electric baseboard heat. 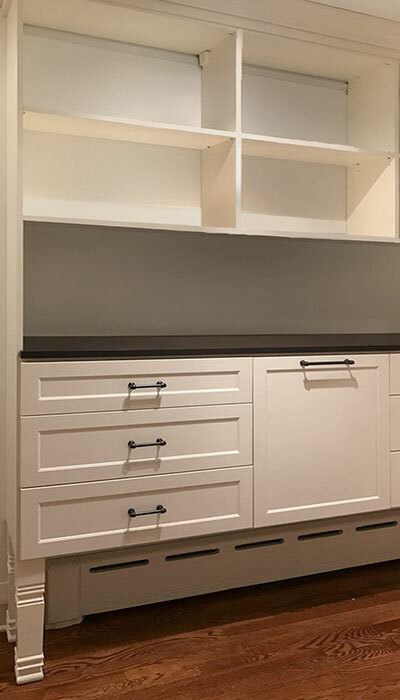 Although this closet is used for clothing, the long narrow set up with shelves and countertop evoke the feeling of a traditional butlers' pantry. The plethora of storage provided by all the shelves meets the needs of a modern homeowner, while paying homage to the age of the building. Simple accessories like the tilt-out hamper that hides dirty laundry make this closet both practical and beautiful for contemporary living.